1. I’ve owned a mattress store for 9 years and I can say I’ve never bought a mattress as a present for any family member or friend. I know to some of you it may sound like I’m cheap :). But from years of experience I know that mattress shopping is a personal decision for individuals . Each persons body has it’s own individual sleep and support needs based on the sleepers height, weight and genetics. Often people come in or call and tell me about how a friend has recommended them to get a certain bed, and quite often that person does not choose the recommendation from a friend. I do think it is ok to make a suggestion to a friend to try a certain mattress, but the best recommendation to make to a friend is to tell them to actually physically try mattresses, then take notes on the ones they like and try to funnel down a decision from there. 2. The Bed In The Box… It’s so easy to order online…But is it the right choice? It’s true….Ordering a mattress online today is easy and convenient. That being said I would argue that you shouldn’t trade the value of convenience over the quality of your sleep. To save a few hours can cost you thousand of hours and dollars . What do I mean? Let’s be clear for starters the bed in the box concept is not like the Warby Parker glasses concept, where people were paying 600 dollars for glasses and now they can get the same quality for 100 dollars or less. Generally people are getting less in value dollar wise. Despite how many companies tout the physical value, we just don’t see it. We see an overpriced mattress that is low in materials with a high cost of marketing, advertising and PR packed into it. The bed in the box is not a new concept,it’s been around for decades and quite often you can find a mattress with the same materials in a physical store and pay a lot less for it. Now I’m not saying that everyone who orders a bed in the box mattress blindly online will not like it. But I argue that if I brought a mattress showroom to the door of the people that ordered a bed in the box and gave them an actual selection to choose from, that 99% would end up liking something more than the mattress they purchased and pay less. I further would like to say we all perform better when we actually get better sleep. We are generally, healthier, happier and more productive when we sleep well. 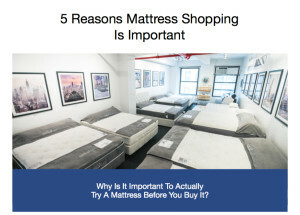 Which is why it’s important to actually try the mattresses before you actually buy. We find a much higher percentage of people when they try a mattress in a calm non pressure environment will make a better mattress decision that will suit their sleeping needs. 3. If tomorrow you had to play in the NBA championship…. To perform at your optimum, would you go out to drink, would you stay up all night, or would you try to put yourself in the most relaxing environment? An environment that would give your body and mind the greatest chance to recover. I think most of us would choose a relaxing environment. Now not all of us are professional athletes:), but we are Professionals none the less in a very competitive world. Whether we are working in the job force, or a student, or supporting a family, we are all Pro’s. We try to make each day count, and to do that we have to eat right, we need to exercise, we need to be engaged in what we are doing and arguably most importantly we need our rest… We need to rest to be able to do all of this, to perform at our optimum. If you don’t sleep well chances are you’ll be counting down the hours left of the day rather than be engaging the moment. Our most important tool to get ahead is our mind, and keeping it sharp with proper rest is the foundation of being able to perform at our peak. And if you only have enough time to sleep for a few hours at least give yourself a chance to get the deepest sleep by selecting what your body signals is the right mattress for you. 4. Is there really one type of mattress that is the best for everyone? I can’t think of one type of product that has to do with comfort that would be good for the masses. But there is such a thing of having a good selection to choose from. Many businesses today tout the one bed concept for one reason and one reason only. Because they can ship a mattress UPS….It’s easy, they don’t have to use a trucker or schedule an appt. They don’t need a showroom…But they do have to pay for advertising which again is easy. Then there is the right way….The right way is not always the easiest path, but it is the one that pays biggest long term dividends to the sleeper. Sometimes stores can be aggressive , it’s true some can be like that or one employees behavior can spoil it for the store. So I suggest in researching stores that are known for the best testing environment for being the least aggressive while being attentive at the same time. 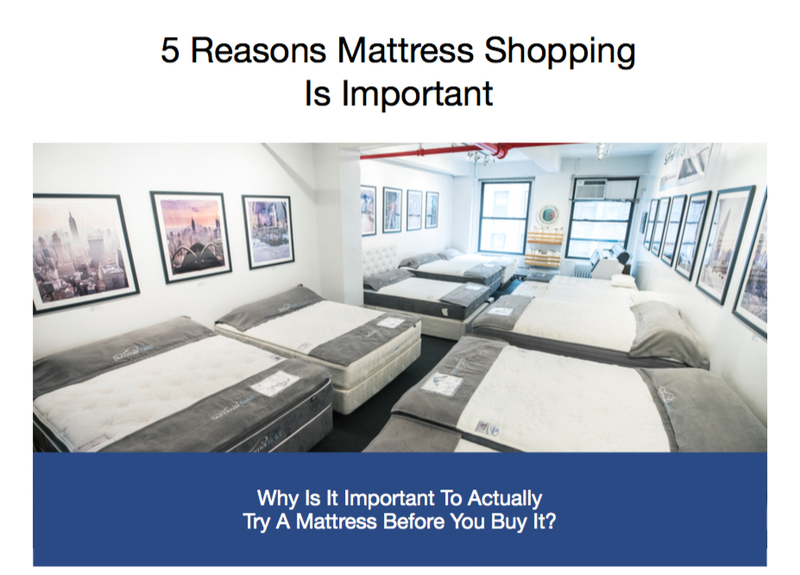 If you just want to test mattresses than promise yourself you wont buy that day and say firmly to an aggressive salesperson that you just started the process and you are not ready to order today. The Positive of going to stores is that they actually have a range of mattresses to try and that should outweigh any anxiety of mattress shopping physically. pit. In my own lease electricity is built into the rent, meaning we don’t get a separate electric bill. It means we could leave the lights on in our business even when we are not there and our rent will not go up. But we know regardless it creates waste by leaving them on and it’s all of our duties to not create more waste for all of us. A lil secret is that although people do like foam beds of all different firmnesses, 70 percent of shoppers that are given the choice of an all foam bed or a more traditional mattress or combos will not choose the all foam bed. In addition to creating more waste it is also driving up the cost of materials which raises costs for for the end consumer. So try a mattress out before buying it, You’ll get better sleep, You’ll be sharper during the day and most of the time you’ll get a better value. The Summerfield Gummy Bear Bed Project Dream Big! Gummy Bear Bed is Made with 26,000 Gummy Bears on The Summerfield Gummy Bear Bed Project Dream Big!